I’m hitting the reset button this month. One of my beauty goals for 2016 is to maintain a manicure, something I learned from my grandmother but that I don’t do a great job at. I always smudge them! And ten years of piano lessons taught me to keep them short and polish-free (or buffed and lacquered with a clear coat.) But I loved filing and polishing my grandmother’s nails, and am going to do my best to keep mine looking ladylike. So I’m trying again. 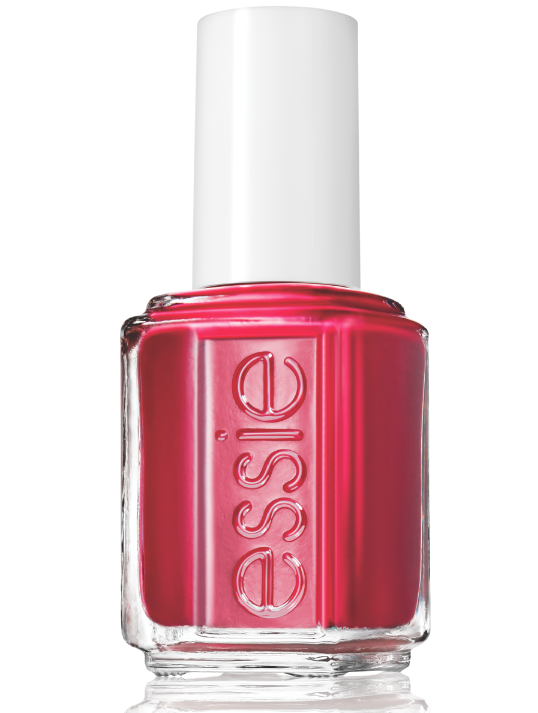 This week’s color: “She’s Pampered” by Essie. Because if I can’t actually be a rested lady of leisure right now, at least my nails can look like I’m one! And this cherry red is a luxe pick-me-up. Not quite “Jungle Red,” but it’ll do. Great post—will keep that in mind when I do my nails later today!